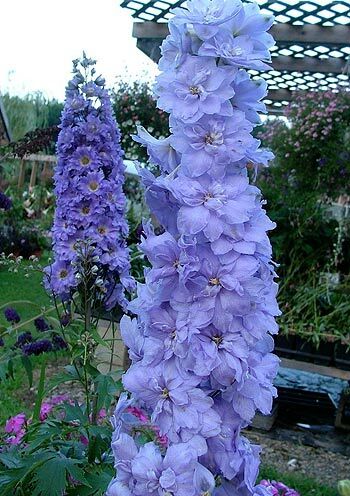 That varieties of Delphinium are considered high maintenance and somewhat more difficult to grow than a majority of perennials is of no consequence to either the writer or the readers of this website. If you want easy, grow day lilies. If you want to further develop your skills as gardeners, grow delphiniums. I may admonish, but I do not pander. 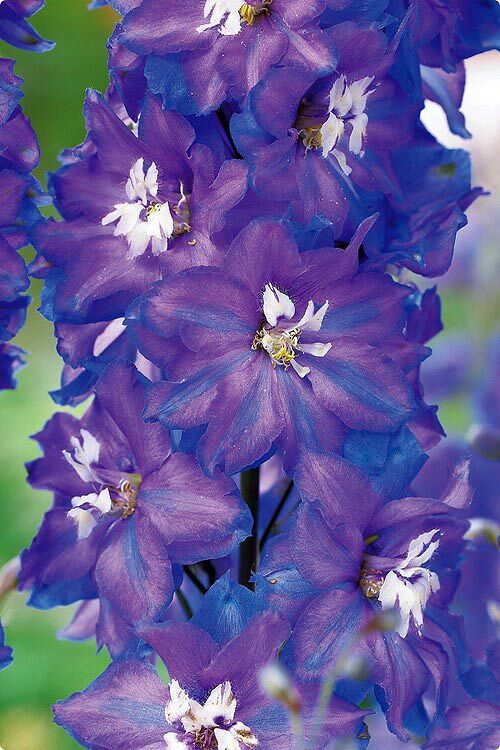 What you will gain from the pleasant experience of mastering Delphiniums is, well, Delphiniums, one of the most gloriously colorful and statuesque perennial to be found in the garden. 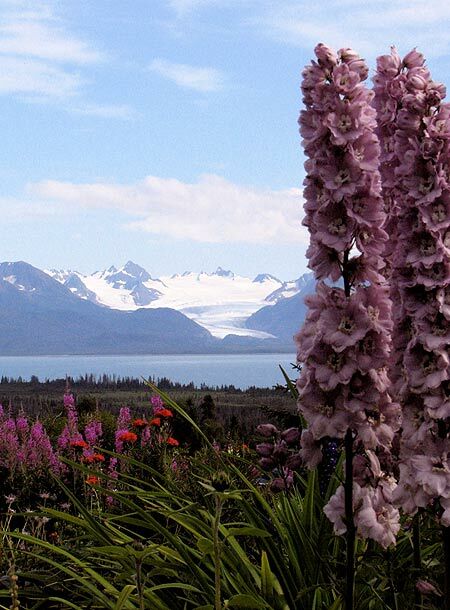 Depending on variety, these sun-lovers range in height from three to six feet, blooming for a period of two to three weeks in late spring and early summer. They respond well to deadheading, granting your landscape an additional two weeks of commanding color in midsummer. Plant Delphiniums in rich, evenly moist soil that drains freely. The recipe for this is 2/5 black mineral soil, 2/5 compost, and 1/5 sharp sand. Plants require full sun, six hours or more featuring plenty of midday sun time. Most varieties will require staking as they approach bloom. This is what those green-painted, 4’ bamboo stakes are for. Insert stakes parallel to each blooming stalk and secure in two places with green twist-ties. Mulch around plants with a one- to two-inch layer of organic mulch, be it compost, peat moss, cocoa bean husks, dried grass clippings, shredded leaves or pine needles. Do not mulch around perennials with shredded wood mulch or wood chips. Tall, skyrockets of graceful color, plant Delphiniums in the middle to back of the mixed perennial bed. You want to start with at least three of different colors, planted in near proximity. As you gain acumen and desire for more, plant them in swaths, with singles and triples popping up elsewhere in view. A good source for New Millennium Hybrids is Ambergate Gardens; their splendid, 2012 mail-order catalogue was of assistance to me in preparation of this article. Visit www.ambergategardens.com.